You can find details on each configuration type and what data is available respectively here. 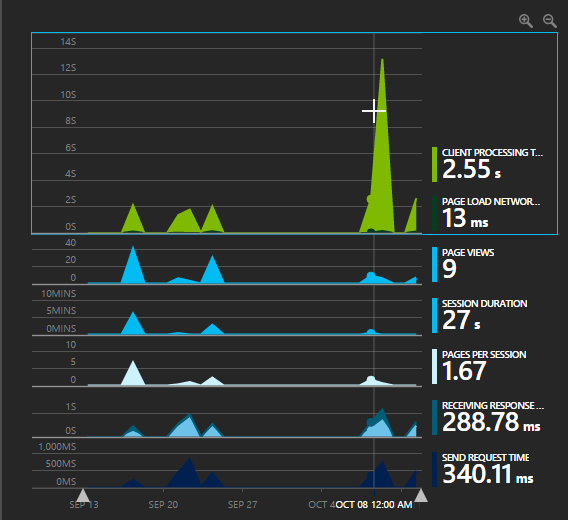 Application Insights from Microsoft Azure provides easy to consume information on server response time, as well as other important information to help you manage your application stacks. While we have always put a lot of effort into error handling and logging, it can sometimes still be difficult to identify what step in the application stack any given error is occurring. Previously, troubleshooting issues could require our Technical Leads to collaborate with System Engineers as well as Coders to research and debug. Certain logging also only existed in environments that are restricted due to security practices (for more information on how we keep your information secure, click here). Moving to Application Insights has enabled us to elevate our technical operations. We can now provide granular access to Application Insights resources in the new Azure Portal to specific Technical Leads and Coders, giving them unparalleled insights into how applications and environments they manage are performing. All parties are then able to see specific errors, and quickly come to an action plan without needing to loop in superfluous resources. A great example here would be an integration between QuickBase and another custom application. If a client reports a perceived performance issue, Application Insights not only quickly tells us the trend of how the tool is performing day-by-day or week-by-week, but allows us to look into what part of the routine is the bottleneck. This is extremely valuable because it gives the person most qualified to diagnose the issue, the Technical Lead, easy to consume information that may tell us it is source system or the other system that may be experiencing performance issues. This in turn allows us to deliver rapid information back to the client with clear actionable next steps. 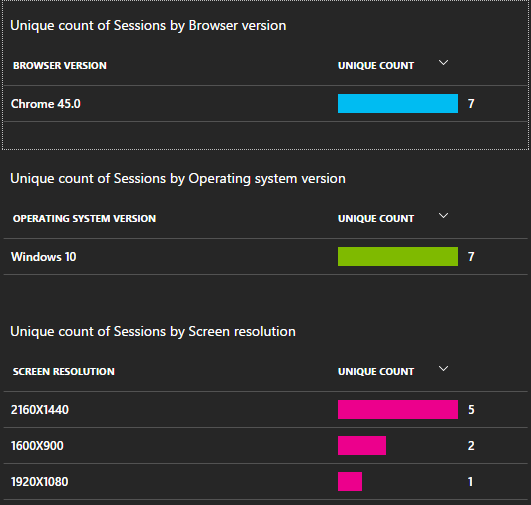 Application Insights can provide granular data on users for your applications including their Operating System and Screen Resolution which can both aid in troubleshooting. Dependencies: We do a lot of integration work. In some cases, we are hitting multiple endpoints to transform and model data. The concept of Dependencies in AI has helped us to quickly understand performance issues. Browser vs. Server Performance: While Application Insights offers many different performance tools, we especially gain value out of being able to tell the breakdown of a browser page load time. For example, a page took 3 seconds to load, but 1.5 seconds of that was server response time. Application Insights from Microsoft Azure can provide valuable intelligence for a variety of solutions. We leverage this tool as a standard in all new and compatible server-side enhancements. Contact us today to learn how MCFTech can provide you the insights you need.